Which type pickup do you need? 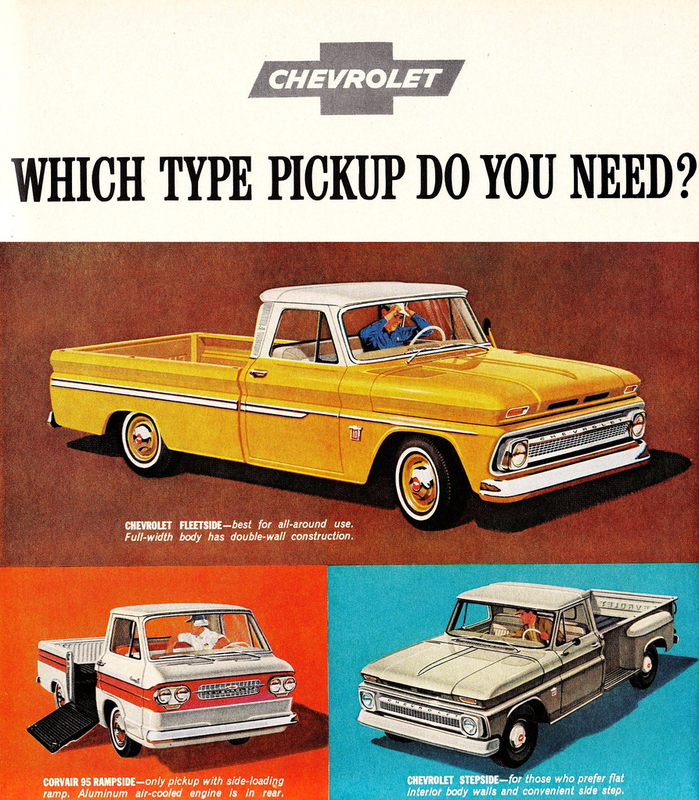 Neat ad for the 1963 lineup of Chevrolet pickup trucks. We particularly like the design of the Corvair 95 Rampside and the bright yellow color of the Chevrolet Fleetside. Oh my, what delightful options for carrying around your groceries and snacks!